The update will allow users to watch live 360-degree broadcasts on both Periscope and Twitter. 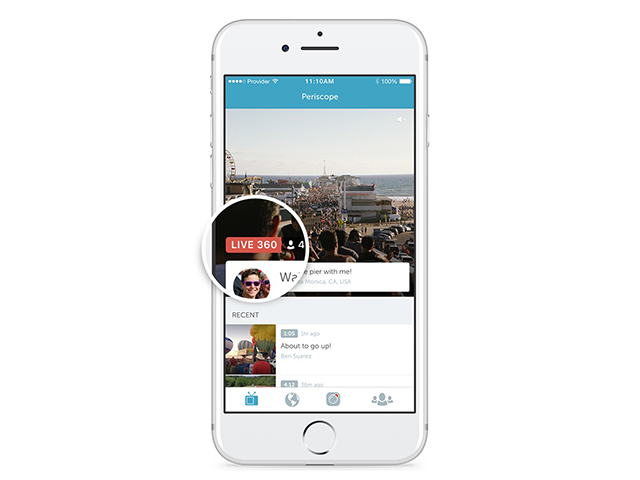 Periscope launched support for live 360 video in its livestreaming application. The update will allow users to watch live 360-degree broadcasts on both Periscope and Twitter. With this update, live 360 videos are marked with a special “Live 360” badge. While watching one of these live broadcasts on Periscope or Twitter, a user will be able to change the point of view by moving their device or tapping and swiping around the screen. Periscope said live 360 broadcasts are being tested “with a small group of partners,” and the feature will roll out to additional users in the future. Interested users can join a wait list for the feature here. Periscope isn’t the first platform to introduce support for live 360-degree videos. YouTube added support for 360-degree live videos in April, while Facebook introduced its own Live 360 feature in December.